The economy is a massively important part of modern life. We interact with it every single day, and hear about it in the news all the time. But how many of us truly understand what it is? We The Economy, a new series from Vulcan Productions and Cinelan, is trying to change that. They've partnered with well-known actors, documentary filmmakers, and economists to develop a series of video which aims to explain everything about the economy, from the mundane to the absurd. These short films make great classroom resources for any teacher, or even a refresher course for adults who want to learn the basics. The full We The Economy series includes 20 videos, and we've selected 6 of our favorites that you can check out first. Watch first video below, or view them on YouTube. 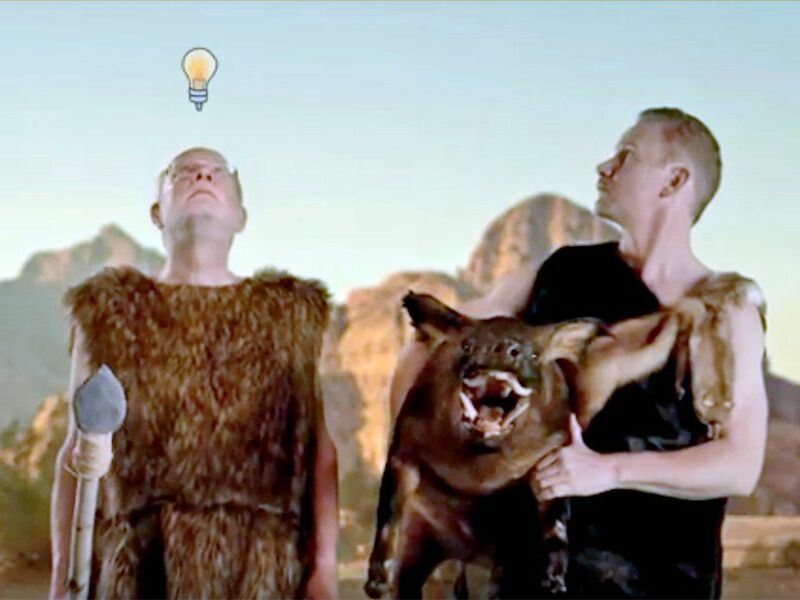 In this charmingly-acted skit, Morgan Spurlock (of Super Size Me fame) explains how early economies, based on a system of trading and bartering, began. See what happens when cavemen Ugg and Glug decide to work together and trade skills to make their lives better. Today's economies don't work on trade, of course. Instead, people sell items and services in exchange for money. But what happens when there are too many or too few objects to sell? Jon M. Chu explains in this musical song-and-dance number. The goverment regulates the economy to try to keep it fair for everyone to participate in, but sometimes, there are unintended consequences. Patton Oswalt plays a neighborhood dad with a lemonade stand in this funny piece on the benefits and pitfalls of regulation. You can't talk about the economy without talking about money, but what exactly IS money, and how does it work? Award-winning screenwriter James Schamus explains what happens to your money after it goes into the bank. Ordinary people like you or me aren't the only ones who can run up debts -- governments can owe people money, too! This animated video explains the difference between debts and deficits, and why some kinds of debts are better than others. Globalization makes products more cheaply available, but often at the cost of quality of life for workers abroad. It's easy to forget that not everyone has the same workplace standards that the US does. How can our purchases reflect our values? As the videos above show, the economy can get complicated pretty quickly! Fortunately, there's a wealth of information on how to teach economic theory, fiscal responsibility, personal financial planning, and more.